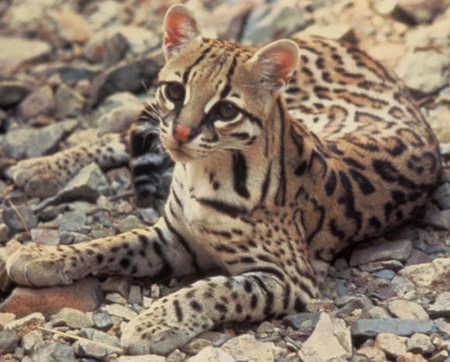 who was believed to be the sire of the first Bristol cat and had a spotted pattern similar to that of the Margay and Ocelot. 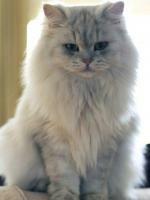 What impressed Von Pilcher the most was that Cajun had a very white tummy. 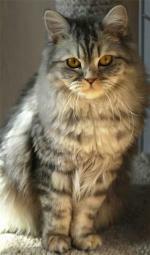 He also had rounded small ears and a voice that resembled that of an ocelot. 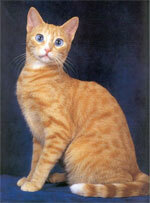 It is believed that he was the product of a mating between a domestic cat and possibly an Ocelot. 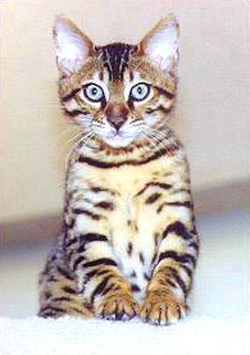 A TICA geneticists believed that using these cats in a Bengal breeding program would help diversify the genetic pool and improve and develop further the Bengal breed. 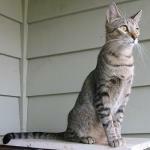 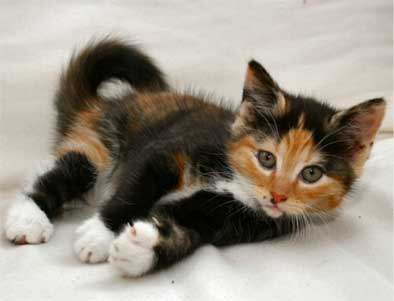 The Bristol cats could potentially contribute their large bone structure and musculature, small ears, and big rosettes. 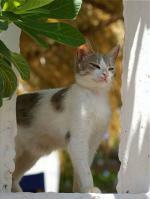 She acquired two females from the the Bristol Line. 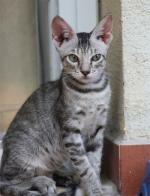 She placed them in two different Bengal breeding programs, but just one of the females produced offspring. 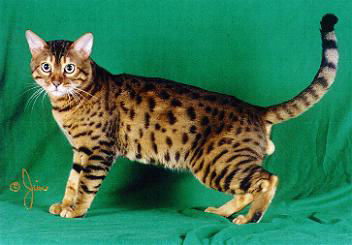 The Bristol Line influenced to a very high degree the Bengal cat breed development, their descendents tend to have big rosettes, are large and have a muscular body.